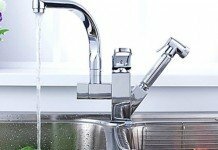 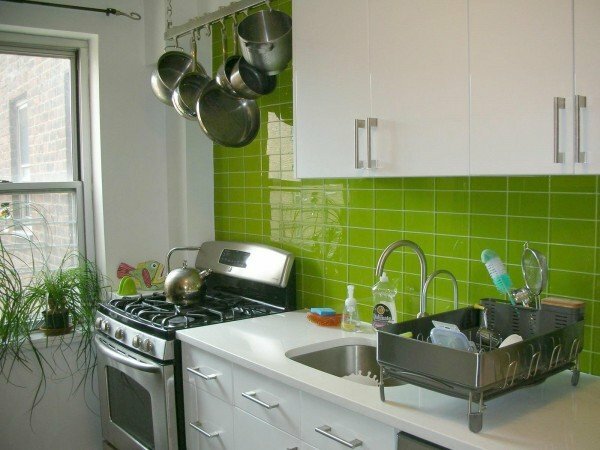 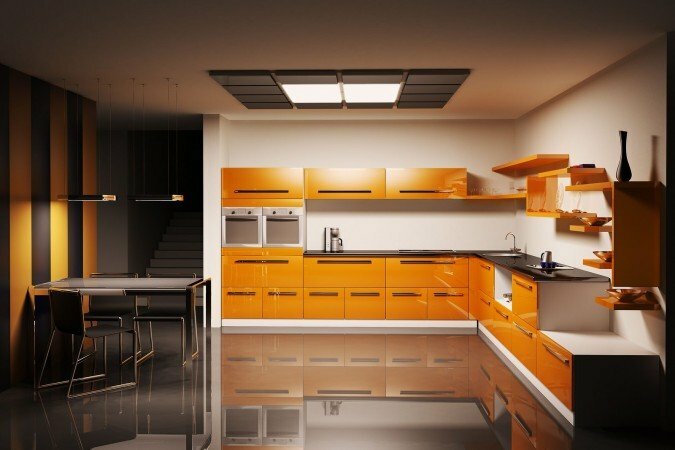 When you look at your kitchen, is one of the first things you notice a lack of color? 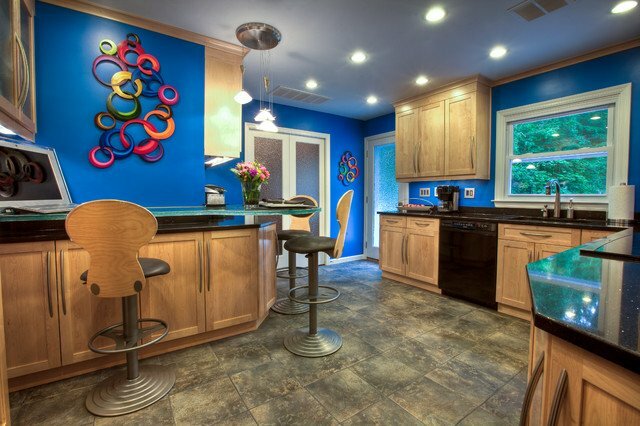 Do you crave a more vibrant palette in this vital room of your home? 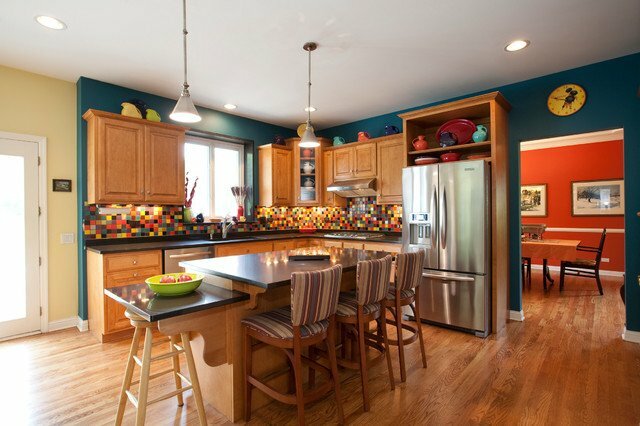 Perhaps new cabinets, a colorful backsplash or bright bar stools are in order. 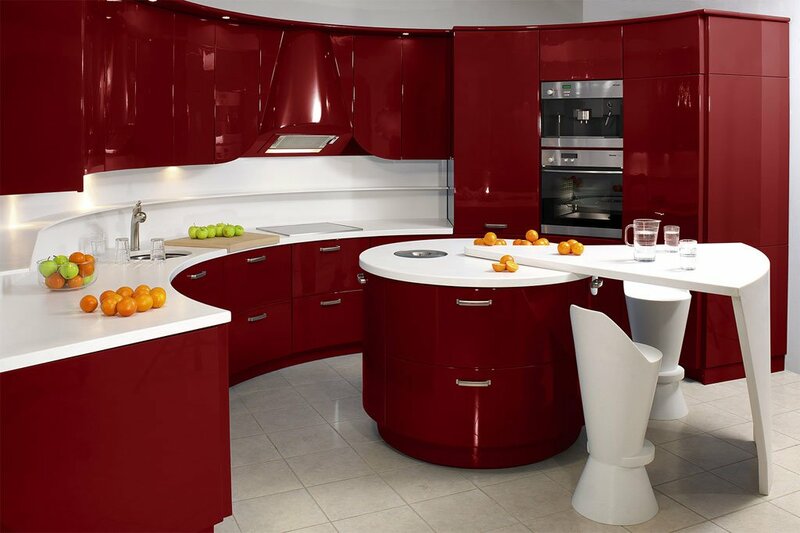 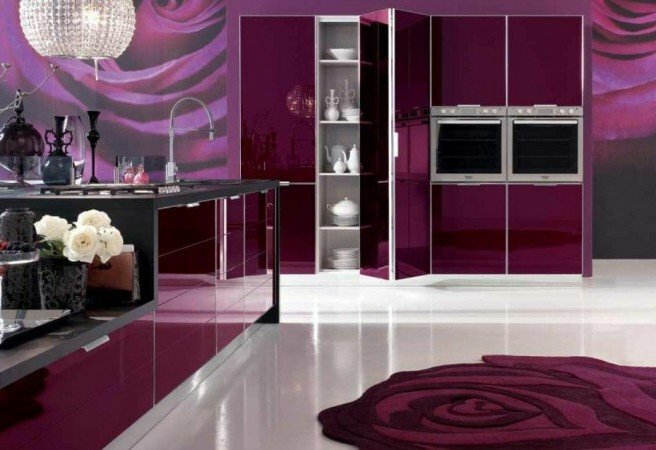 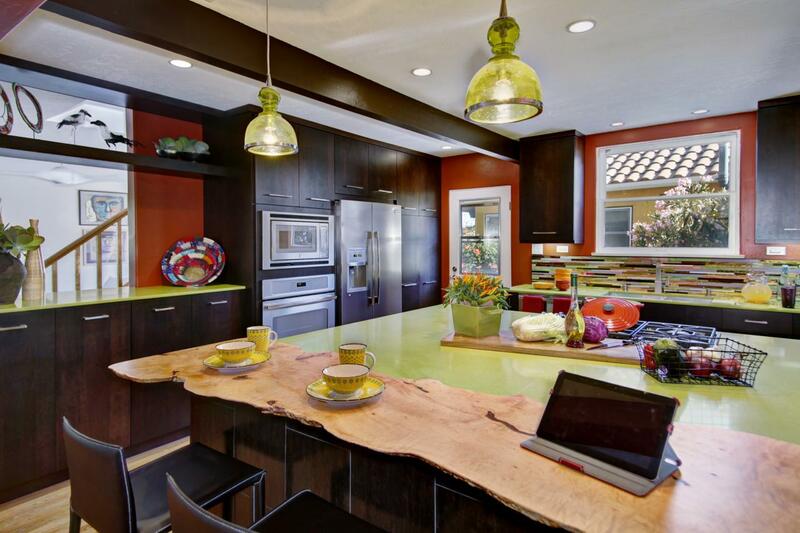 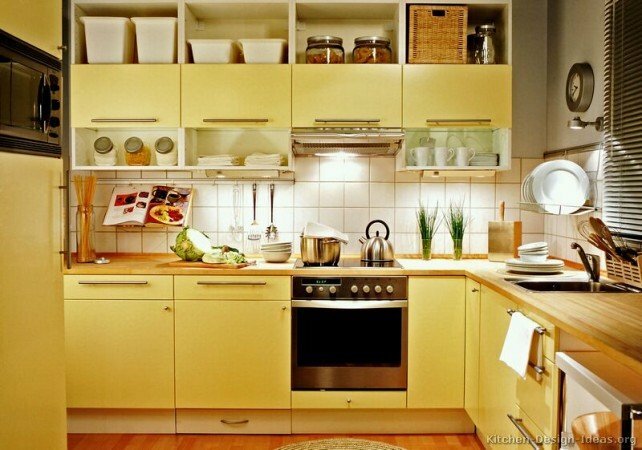 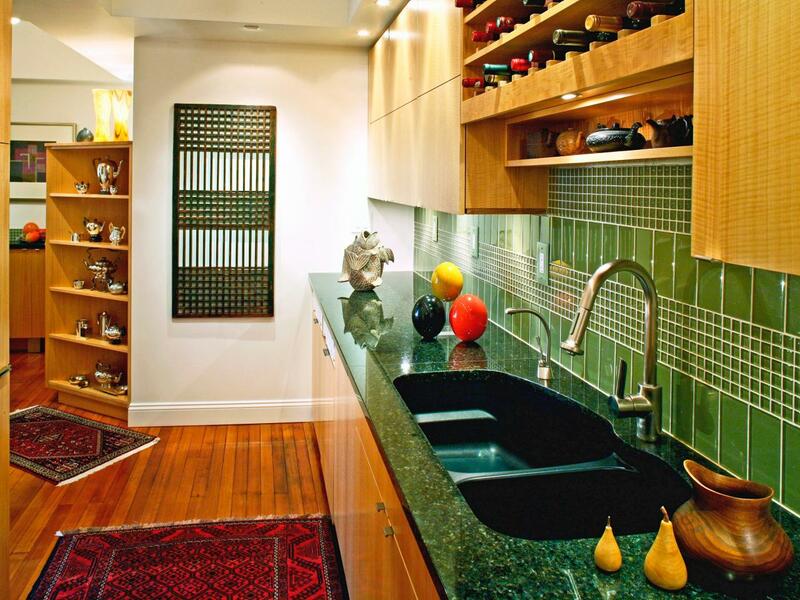 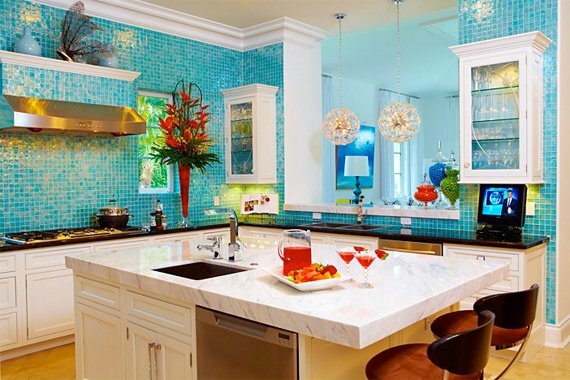 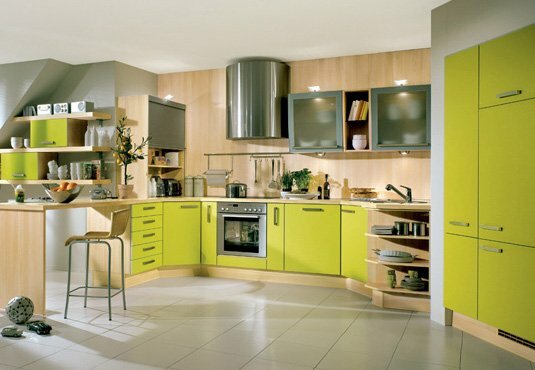 Let’s look at some ways to transform your kitchen with color. 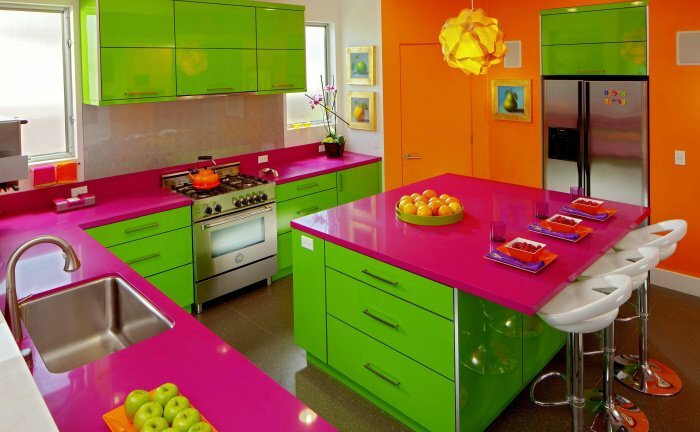 Cabinets in rainbow colors explode with life in a kitchen. 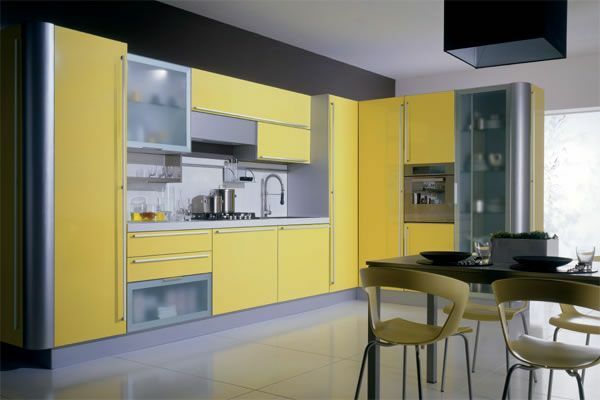 By installing new cabinets or painting your existing ones you can instantly transform a drab kitchen into a lively functional space. 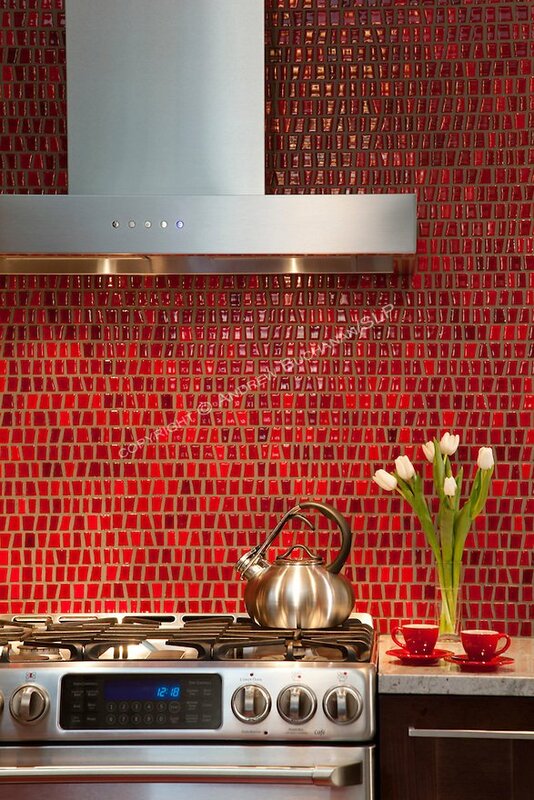 Tile, whether applied on the backsplash or throughout the space, gives any kitchen a stylish boost. 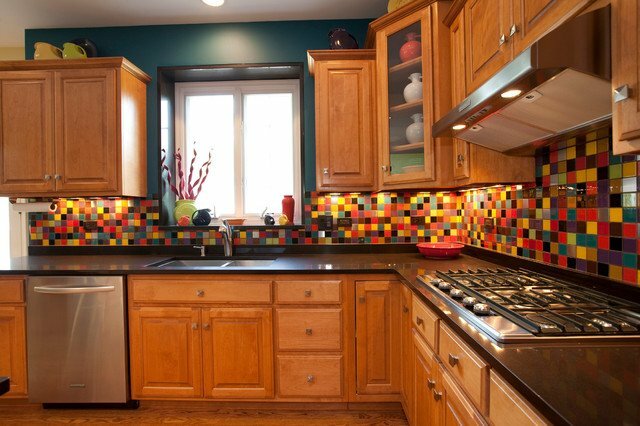 Create a mosaic burst of various colors or patterns or stick to just one uniform color throughout. 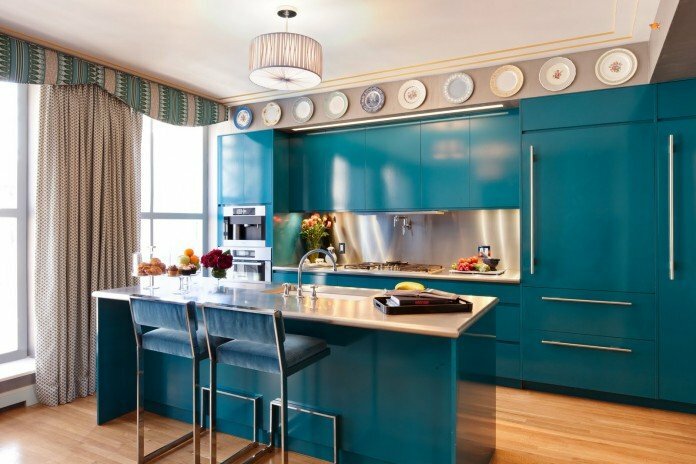 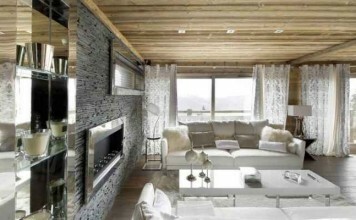 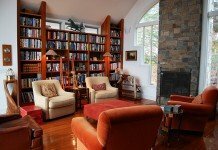 Paint is the most cost effective method of transforming a room. 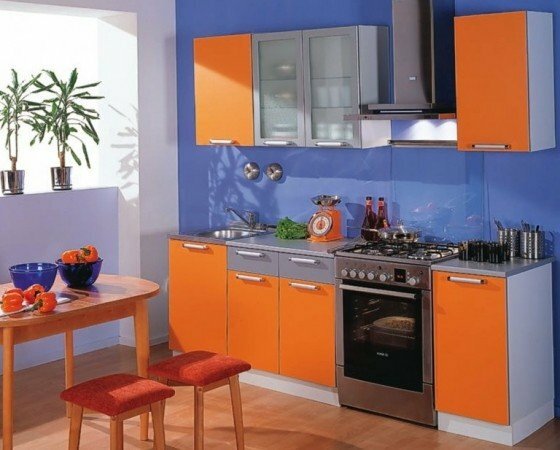 Go bold with a bright color to bring out the natural wood of your cabinets or use a contrasting color with brightly hued cabinets. 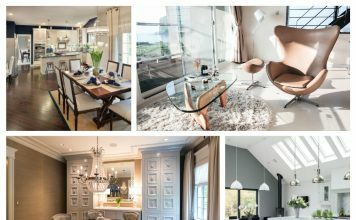 Create a monochromatic color scheme by using different shades and tints of one color. 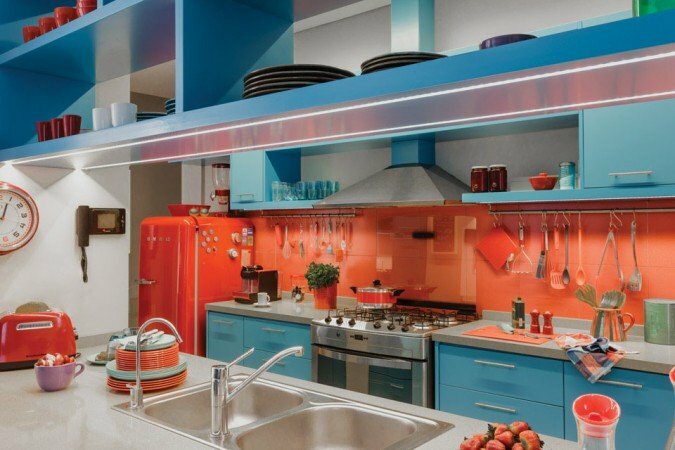 Transforming your kitchen with bright, bold color brings this hub of the home to a new level of style. 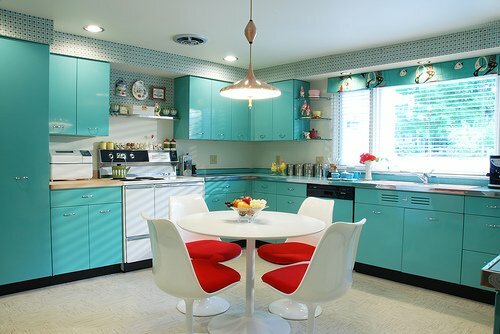 Preparing meals and sharing family moments in a colorful kitchen makes the transformation complete. 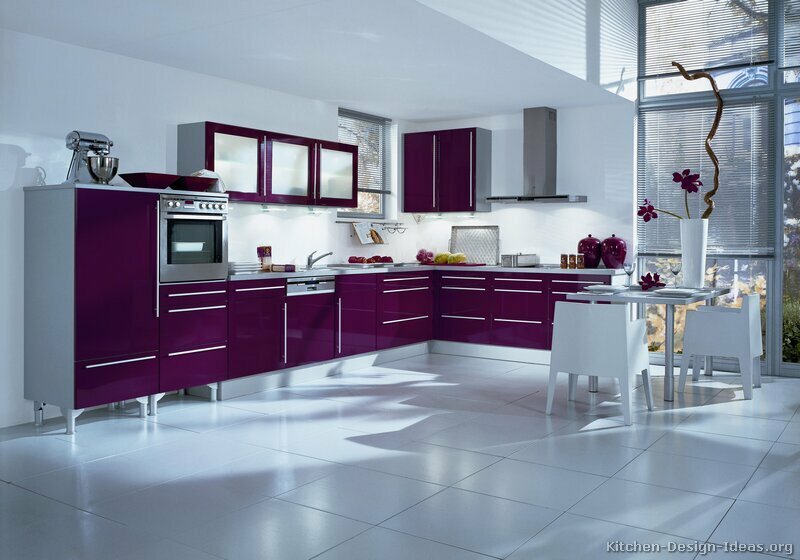 So, which color will you choose?